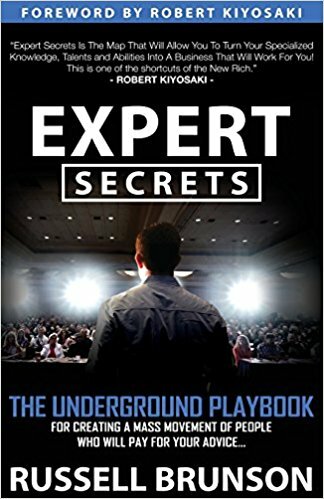 Expert Secrets: The Underground Playbook for Creating a Mass Movement of People Who Will Pay for Your Advice. Buy at AmazonGet Your FREE Copy Here! The Expert Secrets book is undoubtedly a good book that can teach you how to build loyal followers that are willing to pay you for your expertise! The fact of the matter is that, everyone (including you) would love to be an influencer in your industry or your chosen niche, but the truth is; it’s not an easy task! You practically have to work your way there! And that is where books like “Expert Secrets” can help you achieve such goals. As the title says: “Expert Secrets: The Underground Playbook for Creating a Mass Movement of People Who Will Pay for Your Advice”. Am sure the title explains a little about what the book is all about! Expert Secrets is a book that can help you in creating authority in your industry! Most especially if you want to monetize your expertise by creating real value and getting paid for the advice you provide, regardless of the platform you choose in reaching-out to your audience! The Expert Secrets book is for you if you want to learn how to make money online through creating value’s for your audience with your expertise! Expert Secrets is for you if you want to learn how to become an authority in your industry or niche. Expert Secrets is for anyone that wants to learn the changing trends beyond the scope of just learning! Who is the author of the Expert Secrets book? 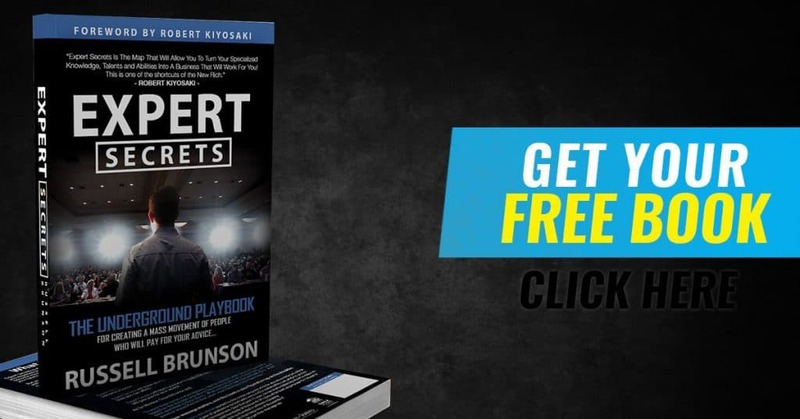 The Expert Secrets book is written by Russell Brunson and Foreword by Robert Kiyosaki. Russell Brunson is a successful entrepreneur with records to back it up. He is the founder of “Click Funnels“, which is one of the most highly recommended tools in the internet marketing industry. One thing that actually got me interested in the Expert Secrets was the numbers of highly respected entrepreneurs that is recommending the book, people like Robert Kiyosaki (Rich Dad Poor Dad)! The Expert Secrets book is truly a good book to read, but in my opinion; i believe it’s a little overhyped due to the referrer program involve. Haven said that; you practically have nothing to lose even if you buy the book at the full price! NOTE: If you want to try the full potential or the wisdom in this book; you basically have two options around it: you either buy a copy or you get the FREE copy by following the link below!